Stunning colors of a tropical ocean. 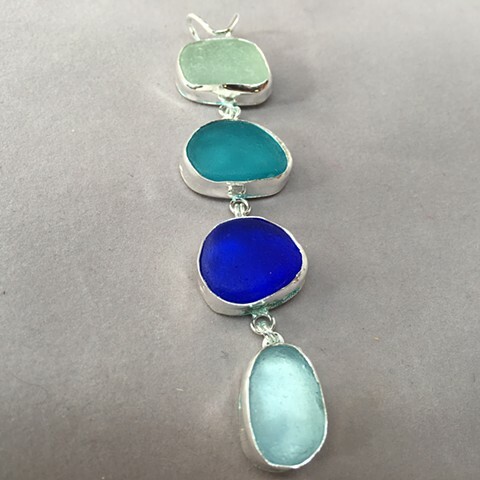 Seafoam, aqua, cobalt and light blue seaglass set in handcrafted fine silver bezels. Choice of 16" or 18" sterling chain.